HAPPY, HAPPY, HAPPY, HAPPY, HAPPY, HAPPY, HAPPY, HAPPY……..HAPPY!!!! Pensacola, Jax/St. Augustine (Creeks Art & Music Festival), Cleveland, Buffalo, Sharon PA, Rochester, Syracuse, and New Years Eve @ Cowboy’s in Starke, Florida. Down load your faves at itunes, CD Baby, Rhapsody, Amazon, Verizon, and a bunch of other digital sites. Y’all know you need “Let the Big Dog Eat” on your phone. Or how bout that Sauce Boss hit, “Your Maytag Done Broke Down”? 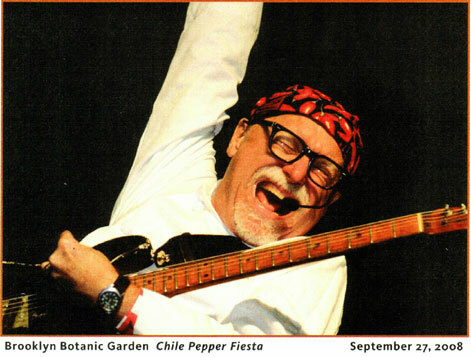 Of course, the CDs are available at sauceboss.com. This is not Appleby’s, TGIF, Perkins, or Denny’s. Thank goodness! Gerald and Nair Jones recently opened this quaint little café in Foley, Alabama. Wife, Nair, paints the murals on the walls along with a gallery of canvases decorating the place. Proud husband, Gerald says, “ She sells a bunch of em!” It’s a cool little family scene. Serving breakfast anytime and great lunch specials, this place is a good one to remember. $6.99 gets you chicken and dumplings, green beans, corn bread and dessert on Monday. On Wednesday, you can get fried mullet, collard greens, and cheese grits. We were there on Saturday and they had pot roast with the fixins, and pineapple upside down cake for dessert. Just put a great big quonk of pot roast with carrots and gravy, just slop it down on a bed of homemade mashed potatoes , green beans, and garlic bread, Yummmm. When I ordered breakfast, I asked for some jelly for my biscuit and Gerald breaks out a new jar of blackberry jam (their own brand). They’ll be cookin a traditional southern turkey dinner on Thanksgiving. Count your blessings! The menu includes the hogzilla rib-plate, delicious hamburgers and fried bologna sandwich, along with oysters, catfish, flounder, shrimp, chicken and strip steak. Plenty of character, good homemade food, and gracious folks make this restaurant a very comfortable place to eat. Next time yer in LA*, ya might wanna stop in. Yep, this is what they look like. One of the most beautiful, vibrant peppers in the world, they pack a good solid punch. There’s not much time to order your Liquid Summer Hot Sauce for the relatives. 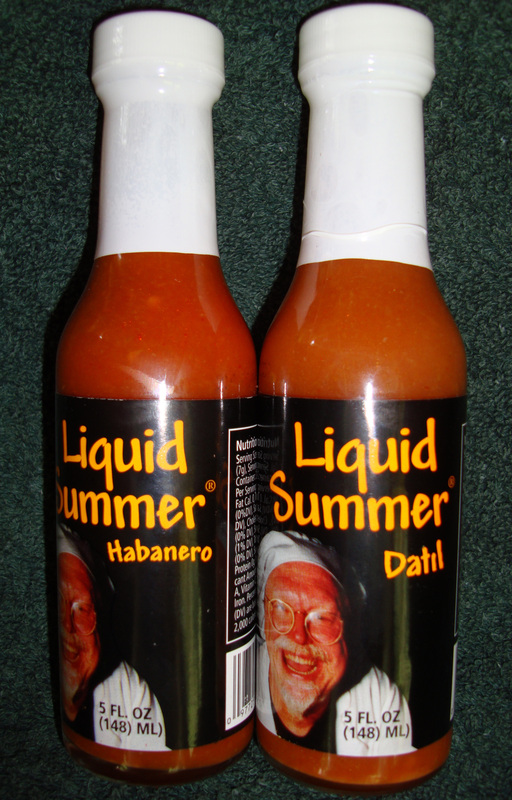 Get a case of datil or habanero Liquid Summer right here. 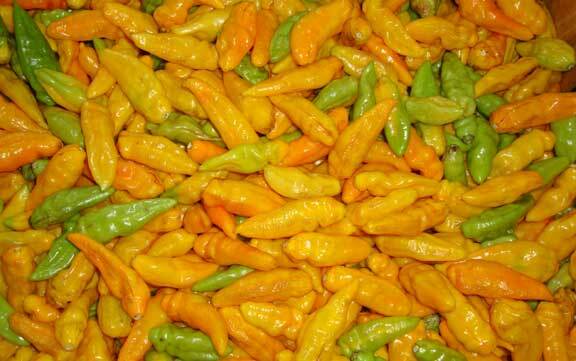 You can even split a case – half and half datil and habanero. Smoked Mullet Dip is great for parties (Thanksgiving is coming up) and if you don’t have smoked mullet, use smoked amberjack, tuna, or salmon. Mix ingredients together and form a ball. Sprinkle with paprika or chives and garnish with parsley. Chill and serve with crackers, or fresh carrots and celery sticks.